Keep Spreading the News: Urban Wood Conference 3-18-16! 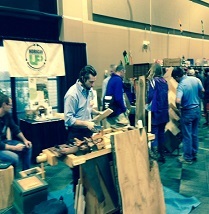 Members of the Illinois Wood Utilization Team were active participants at the Illinois Arborist Association's 33rd Annual Conference and Trade Show, Oct. 19-21 in Tinley Park, IL. IL WUT showcased 20 board samples of urban wood lumber at its exhibit booth, and made sure that word got out about the upcoming urban wood conference. The state of Illinois will no longer restrict the movement of any cut, non-coniferous firewood within the state. However, Illinois remains within the federal quarantine and may not export ash related products into a state that currently has regulations. 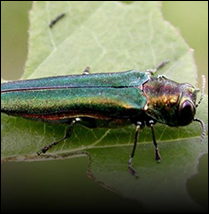 Illinois joins Missouri, Iowa, and Kentucky in the deregulation of Emerald Ash Borer (EAB). 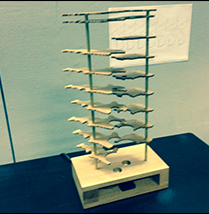 More than one dozen students at the Illinois Institute of Technology (IIT) spent their summer designing and crafting one-of-a-kind furniture and artistic objects using urban wood. Check out some of the artistic and functional pieces they were able to create! 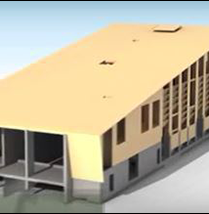 The NAASF Forest Utilization Committee, USDA Forest Service and WoodWorks are organizing a free webinar focusing on the use of wood, including Cross Laminated Timber (CLT) in building construction. The webinar will examine factors motivating architects and engineers to expand their use of wood and the potential benefits in terms of rural economic development, long-term forest health and carbon sequestration in buildings. Check out these other great urban wood headlines! If you would like to be removed from future mailings, please feel free to let us know. Want to get future urban wood updates? Subscribe for free here.